It’s been said that luck is the point where hard work and opportunity come together. And when paired with a genuine curiosity to learn, remarkable achievements can occur. Just ask Chynna Byrd, of Belleville, Ill., who discovered early on that fortune does indeed favor the prepared mind. Byrd’s approach to life has always been to leave no stone unturned. As a result, one of the essential ingredients to her success has been her steadfast determination to thoroughly explore the things that are important to her. When deciding where she wanted to go to college, Byrd applied to 13 different universities making sure to fully research each possibility. 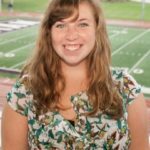 When it came time to decide, she chose Truman State University over schools including New York University and the University of Tampa because she felt that the small classes at Truman would give her the opportunity to develop relationships with professors and get one-on-one help. Byrd also put a lot of time and thought into choosing what she wanted to study. Poring over textbooks and websites, she searched for a college major and career that would match her passions for law and justice. “I settled on international relations as it would allow me to learn about other cultures and understand politics to enact change on a federal level,” said Byrd, who decided to pursue a political science major complemented by minors in international studies and justice systems. Byrd’s meticulous planning abilities benefited her once again when it came to the organizations in which she became involved with at Truman. This is especially true for the three terms she served as the cultural climate chair for the Minority Ambassadors Program where she planned and coordinated events to promote diversity on campus. Putting her management skills to work, Bryd also served as student manager for the men’s basketball team. And when she participated in the Miss Black and Gold Pageant hosted by the fraternity Alpha Phi Alpha, Inc., her friendly disposition won her the title of Miss Congeniality. Embracing experiences relevant to her own personal interests opened the door to more opportunity streams, such as when Byrd participated in a week-long women’s leadership fellowship. Each summer, the Sue Shear Institute for Women in Public Life hosts its 21st Century Leadership Academy for college women at public universities in Missouri. The academy teaches important professional skills, as well as how to engage in public life, in hopes of inspiring more women to run for public office. Her thoroughness and careful planning got her noticed, and she was asked to be the intern for the 21st Century Leadership Academy, where she helped plan and coordinate the week for the next year’s fellows. After she graduates from Truman, Byrd plans to pursue a law degree, positioning herself for future work in the nation’s courts, the federal government, and foreign embassies. 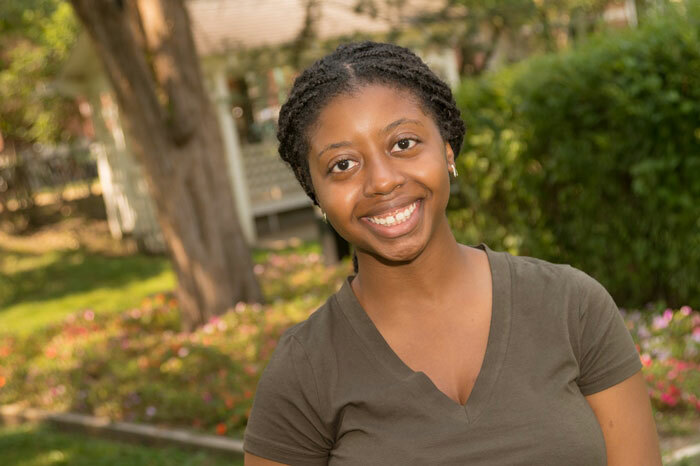 With the knowledge and deep passion she’s developed at Truman, combined with her proactive approach to life, she’s well on her way to making a difference in the world. Rachel Likert (’15) contributed to this article. I like the small class sizes and how each professor generally teaches a small number of classes. Because of this, all my professors know my name and how I perform in the class. It helps to hold me responsible and gives me extra motivation to do my best.